Harper is obsessed with Sophie's diary. Sophie wrote her diary at the beginning of the second half of the nineteenth century and her family helped founding Hawthorne, Harper's hometown. Harper likes to observe and she wants to be a journalist. People in Hawthorne are dying, they are being murdered by a serial killer and nobody knows who this person is. Harper has the feeling she has to follow Sophie, but by doing this she might put herself in danger as she's getting closer to the murders. Why are those people being killed and what is the killer's motivation? Is it someone Harper knows? 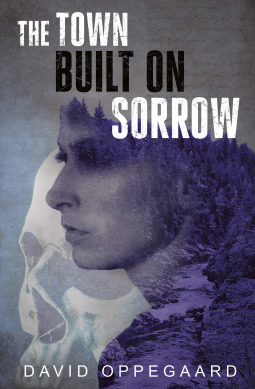 The Town Built on Sorrow is a fantastic gripping story. I was captivated from the start. Harper can't stop reading Sophie's diary and she has no idea why she can't let Sophie's story go. Finding out what happened to Sophie kept me on the edge of my seat. I loved that the past is as spellbinding as the present. Harper is an intriguing main character. She has her flaws, she sometimes does things that aren't smart and her family annoys her. I liked that she isn't the sweetest or loveliest person, that she's a regular teenage girl with a more than healthy curiosity. That makes the story extra fascinating. It's clear from the start who the serial killer is and seeing the world through his disturbed mind is interesting. Reading about his actions and his lack of empathy kept shocking me, which is something I loved about The Town Built on Sorrow. The story is filled with surprising twists and turns. The descriptions of the murders are distant, but detailed. They're despicable acts, however, because of David Oppegaard's terrific unusual way of writing about them I somehow found them easy to stomach, while they're still incredibly gross. David Oppegaard has a great compelling writing style. I flew through the pages of The Town Built on Sorrow. I loved the way he alternates the past with the present, the pieces of the puzzle all fit and the result is a fabulous complete story with many amazing creepy elements. I enjoy being spooked and David Oppegaard knows how to write a good scary book that definitely hit its mark. I highly recommend The Town Built on Sorrow. If you love gripping creepy stories The Town Built on Sorrow would be an excellent choice. David Oppegaard is the author of The Town Built on Sorrow (Sept. 2017-Flux), the 2016 MN Book Award finalist The Firebug of Balrog County (Flux), the Bram Stoker-nominated The Suicide Collectors (St. Martin’s Press), And the Hills Opened Up (Burnt Bridge), and Wormwood, Nevada (St. Martin’s Press). 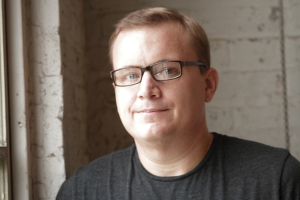 David grew up in the small town of Lake Crystal, MN, and wrote his first novel at the age of fifteen. David’s work is a blend of literary fiction, science fiction, horror, and dark fantasy. He holds an M.F.A. in Writing from Hamline University and a B.A. in English from St. Olaf College. He has worked as an optician, a receptionist, a standardized test scorer, a farm hand, an editorial assistant, a trash picker, a library assistant, a seasonal bookstore employee, and as a child minder on a British cruise ship. He teaches the occasional fiction class at Hamline University and currently works at the University of Minnesota. He lives in St. Paul, MN. I'm a novelist who lives in St. Paul, MN. 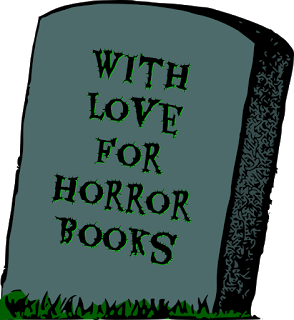 I love many fiction genres: horror, fantasy, sci-fi, literary, classic, etc. With every book I write, I try to challenge myself in a new way and find something new to mine in the genre(s) I'm writing in. I have a day job at the University of MN. I like going to rock shows, running outside all year long, watching too much TV, standup comedy, playing gin rummy in taprooms with my girlfriend, drinking coffee, and right now I'm really into Skyrim on my old XBOX 360. You can't cover everything, but I like to think I'm enjoying life as much as I can before I die. Freddy Krueger. He's just waiting for you to fall asleep! What's scarier than not being able to go to sleep? This is a tough, tough question. The People Under the Stairs scared the HELL out of me when I first saw it. So did Event Horizon and Candyman. I also really love the John Carpenter version of The Thing (1982) but winner-takes-all is probably Aliens (1986). That movie is just a terrifying good time. A world where the United States has destroyed its national parks for a temporary profit that benefits only a few wealthy demon-men. The lead characters in The Town Built on Sorrow are all teenagers and I'm not really up on my famous teen actors. I'd hope they'd actually be raw, relatively unknown young actors who could convey their emotions with force, like the young actors in Stranger Things. I also thought the cast of young actors in the new version of IT did a great job. I like to see how freaked out I can make both myself and my reader feel-it's fun for me because I'm a madman. This year I went as Mike Nelson, the 2nd host from Mystery Science Theater 3000. I love that show-it was created right here in the Twin Cities. I've written a YA sci-fi novel called Blood Red Sky and we've just started sending it around to publishers. It's about a group of prep school students who have to band together to survive after their planet is invaded. Also, the film rights to The Town Built on Sorrow have been sold to a production company-it'd be really cool to see a film version of the book! Two very lucky readers of With Love for Books will receive a paperback copy of The Town Built on Sorrow. I love creepy, gripping horror stories. The Town Built on Sorrow sounds like a must-read. Well, David, you can thank Suze for that wonderful review, as now I'm curious about your "terrific unusual way of writing ..."! What an intriguing book! Great interview. Thanks for sharing. This sounds like a really gripping read, looking forward to reading it. this looks absorbing and un-put-downable! Not my genre, but it sounds good. I like the diary and the idea of the past informing the present. Thanks for this review. Sounds great! I'm excited to read it. This sounds good. I like thrilling stories. Oooh, I love books that go back and forwards in time. Yet another book I'll have to add to my list! Thanks for the great prize and competition. Looks like an interesting read.